Right, you’ve got your taxi driver’s license, your new cab’s been inspected and ‘plated’, you’ve got the right taxi insurance and you’re raring to go. Now where does the business come from? If you have a hackney license – otherwise a public hire or simply taxi license – you can work the ranks and accept hires from customers who flag you down on the street. Rank business can vary hugely in different locations and at different times of day. A main rank in a busy town centre on a Friday or Saturday night may be almost constantly moving, so as soon as you return from dropping off one fare there’s another one waiting to be collected. Some busy town and city ranks even have taxi marshals at peak periods, who help maintain order among people waiting at the rank. Some taxi marshals may even get people waiting in ones and twos together with people heading to a similar part of town, in order to avoid over-lengthy queues at the rank. Taxi ranks in towns and cities are the responsibility of your local authority. Airports are another story entirely, with taxi ranks governed by the private company that operates the airport. In some cases, they contract the service to one private hire company, such as Checker Cabs, at Bristol Airport. At others airport owners operate a barrier system, whereby taxi owner-drivers pay a fee in order to access the airport rank (take John Lennon Liverpool Airport, for example). As a hackney driver, you can decide to make your living entirely by the fares you can pick up at the ranks or on street. In some areas these are known as ‘street cars’. 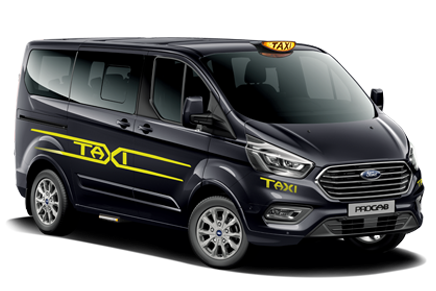 The alternative is ‘radio cars’, whereby hackney taxi owners opt to pay a fee in order to also receive bookings from a radio network. In the hackney taxi business, these radio circuits tend to be found in larger cities and are often operated as a consortium, owned by the city hackney association. Central Taxis and City Cabs in Edinburgh are leading examples. These consortiums advertise their service widely and may operate a contact centre with a radio or computerised despatch system. In the private hire world, every fare must be pre-booked, so it’s all about advertising your number. Actually, nowadays, it may be more about promoting your website or smartphone ‘app’. If you’re renting a vehicle from a local taxi company, the cost of being part of their network will normally be included with your weekly payment to the company. If you own your own private hire car (as many people also do) in a large town or city, you’ll almost certainly need to join a leading radio circuit in order to get business. Clearly the fee for this will be less than the combined fee for the circuit plus cab rental. 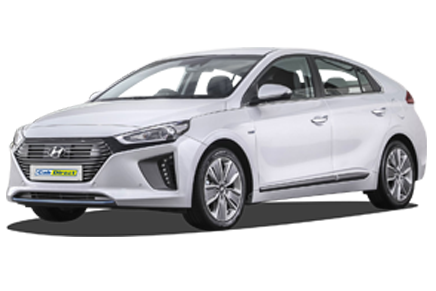 In some smaller towns and rural areas, it may be enough to advertise your number and get your name known locally, if there’s no competiton from a major private hire operator.